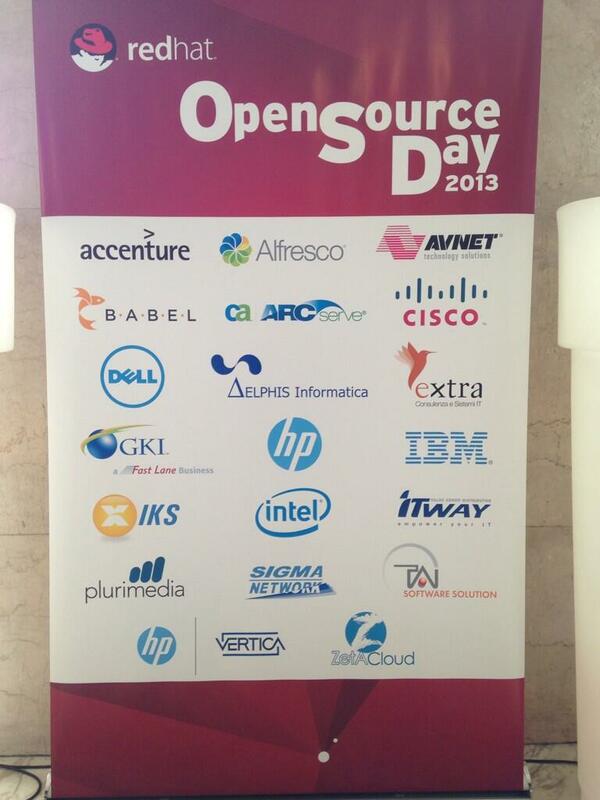 Big success of the year’s event in Italy: The Red Hat Open Source Day 2013. The topics covered was numerous and the speakers was very qualified; these facts showed to the visitors how the Open Source solutions can give important advantages, both on the economic side, on innovation and on strategies. In fact the Enterprise Open Source solutions selected and suggested from Extra got the attention and raised the interest of the attendants. 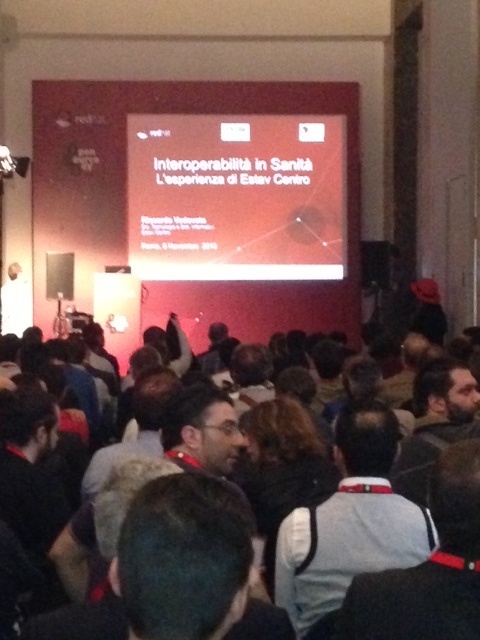 In particular, the speech of our Customer ESTAV CENTRO (the subject that groups 8 health Tuscany organizazions) obtained a significant audience; the Customer described our project of interoperability between different applications and technologies, realized using the Open Source integration tools over which Extra is Red Hat Competence Center for EMEA, the suite JBoss Fuse.